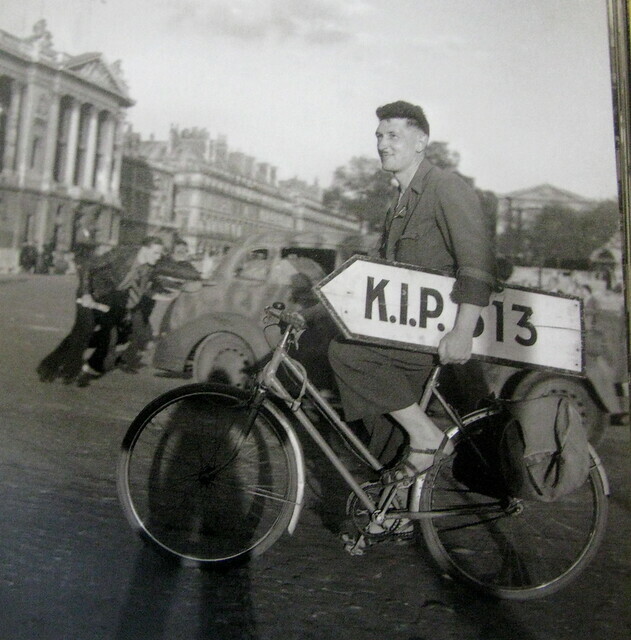 I've always loved this Parisian photo by Robert Doisneau entitled, "Collector of German Road Signs, August 1944". Notice what the men are doing in the background. Contrasted with the smiling man on the bicycle. Get used to THIS scene in a city near you once oil hits a billion a barrel. Brilliant.